We have been happy adopted parents of Caramel since June last year. She is such a character, so soft and gentle. She stays indoors when we do, she comes out in the garden when we do. She has trees to climb. She seems to be completely in charge of our household. We love her to bits. 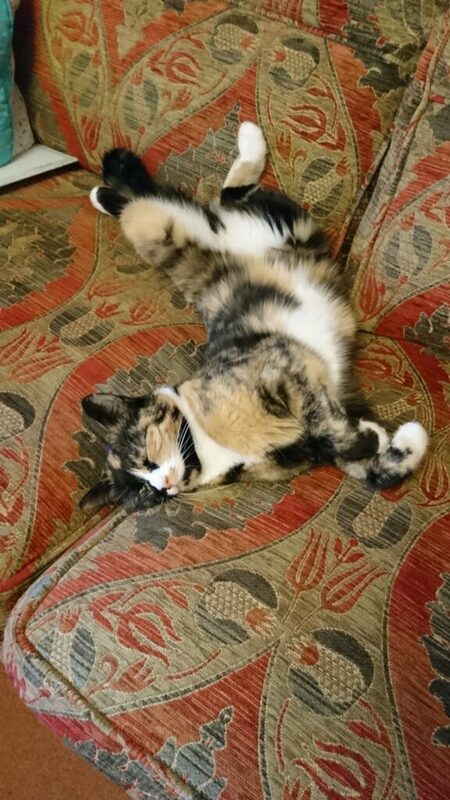 As you can see she’s made herself very comfortable in our home.